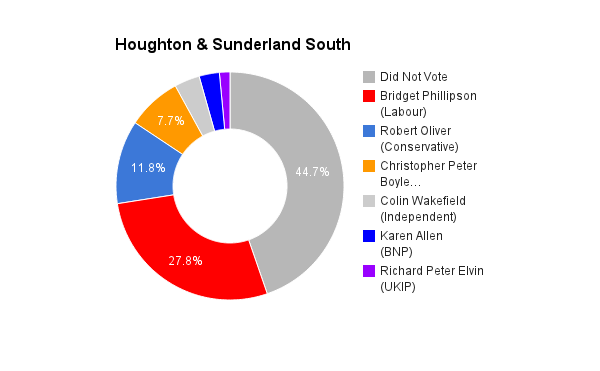 Houghton & Sunderland South is located partly on the banks of the River Wear and was the first constituency to announce it’s results in the 2010 General Election. This carries on the tradition from Sunderland South which had been first to declare in the previous four elections. Fought for the first time under the current name in 2010, it is represented by the Labour Party’s Bridget Phillipson. I am a 58 year old married man with a 21 year old son at university, I am currently a consultant solicitor and former police inspector having retired with an exemplary service record after 30 years with Northumbria Police a significant part of which was completed in Sunderland CID. I am a Northumbria University law graduate and former pupil of Monkseaton Grammar School. I am local as are my family and friends I fully understand the community and the need to develop the local economy. My mature years, vast experience of life, former career and current profession equips me to effectively be able to represent people of all backgrounds, ethnic origins, genders and sexual orientations as their MP. As a solicitor I deal with all types of problems finding solutions, therefore the process of law is something which is very much in my comfort zone. As a long standing member of the local community with numerous friends and connections with Sunderland, I will continue to listen to local people experiencing first hand issues. My experience of life and mature years makes me the most appropriate candidate to represent the constituency in parliament. 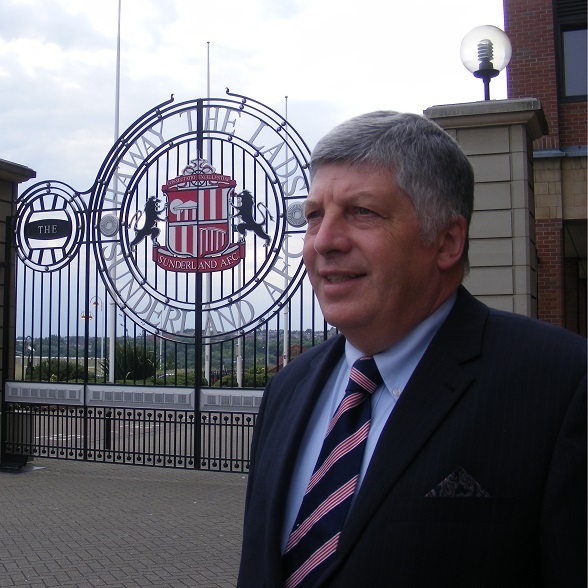 I am a retired Detective Inspector having investigated every type of crime in Sunderland up to and including murder, since then I have spent 8 years working as a solicitor dealing with local people’s problems at times challenging the power of the state. The current incumbent (MP) has perpetuated the Labour dominance of representation of Sunderland constituents in parliament stagnating local debate which is ready for change. Austerity has been a very necessary consequence of Labour over spending, the current strength of the economy is clear evidence that austerity has worked although this needs to be closely monitored. The Conservative Government has proven itself in particular with leadership that it can govern with competence. The question of legal immigration is too complicated to answer in a few short sentences as there are a number of factors to take into account. Examples some employers rely on overseas workers to do jobs people here will not do, that said this needs to be the subject of constant review. A further example and complication is the EU rights of its citizens and the reciprocal rights we have to go to other EU countries some being significantly more popular than others., which results in an apparent imbalance. The simplest answer is to have achievable targets, please note : Immigration from outside Europe is down to the level of the late 1990s. The last five years has been a difficult time with the economic necessity of reducing the Labour deficit and the bringing of public spending under control, however with the strengthening of the economy and controlled inflation improved living standards are very much on the horizon now. The NHS needs to remain free at the point of delivery and in order to keep it that way we need to continue to clamp down on medical tourists. You can only have a strong NHS with a strong economy. That’s how the Conservative Government has been able to increased the NHS budget by £12.7 billion over this Parliament and how they will continue to make real-term increases if elected in 2015. As well as endorsing the NHS’s own five-year Forward View, the Chancellor has announced an extra £2 billion funding every year for frontline NHS services. The long-term economic plan is to secure a strong future for the NHS. Creating more jobs by backing small business and enterprise with better infrastructure and lower jobs taxes, is all part of the Conservative ethos. The plans has been to create three million new apprenticeships so young people get the skills to succeed. MP’s are elected by the people to represent the people consequently must reflect the diverse nature of the electorate if the elected do not share the unique characteristics of minority groups then they must at least understand them. Not treating everyone the same but each person or groups of people in accordance with their individual needs, which will be my pledge. There will be an EU Referendum in 2017 provided a Conservative Government is re-elected I would not however try to influence a vote either way at this stage as the Greek situation could drastically effect the EU, so my advice is to remain open minded pending developments.